The Frets by the truest sense are a modern day Alternative Rock band. Guitarist Cody Seeger met frontman and Manchester, UK native, Liam Wilkes, through the reliable world of Craigslist as two San Diego transplants looking to form a band. As they shuffled through various players, The Frets were complete after they finally met Drummer John Martinez on Instagram, and bassist William Santana on Facebook. The Frets got their start at the beginning of 2018 when they met Grammy nominated producer Billy Smiley. From there, they were invited to Nashville to record their debut EP at Dark Horse, and Castle Recording Studios. Their debut EP, titled 'The EP', was released in August of 2018. The Frets unique sound is a creation of the tech-centric age we live in, and a combination of hooky guitar riffs with catchy vocal melodies. Influences include: Arctic Monkeys, The Killers, Oasis, Kings of Leon, and Catfish and the Bottlemen. The Frets have played over 40 dates this past year and headlined Springboard West Music Festival. The Frets are currently working on a full length album and have sites set on a tour summer of 2019. Aviator Stash voted best indie alternative band in 2019 San Diego Music Awards. The project started inside a single bedroom with intention to create catchy melodies and colorful vocal harmonies. The band released their second studio album in November 2018 which has a wide range of diversity and influence. 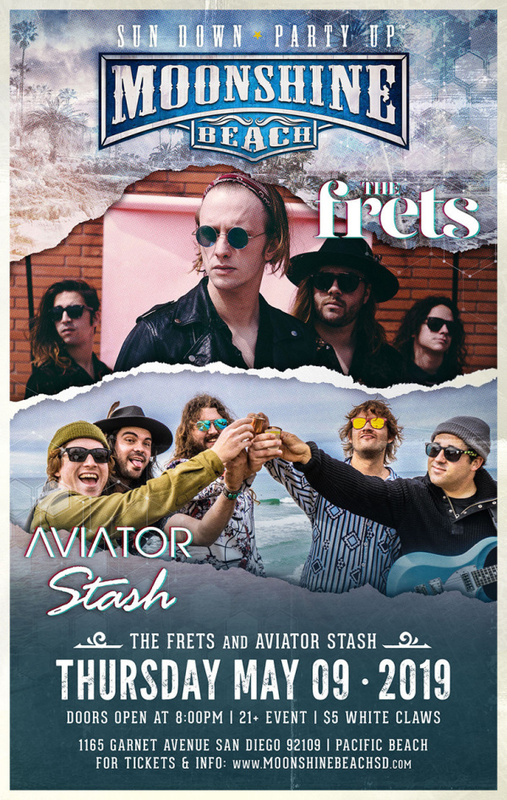 Aviator Stash gained local attention from their debut single "lazy Summer Days" from the legendary San Diego radio station 91X. The song was quickly launched into daily rotation and received the highly coveted title as the radio stations "Local Break" for the month of August.